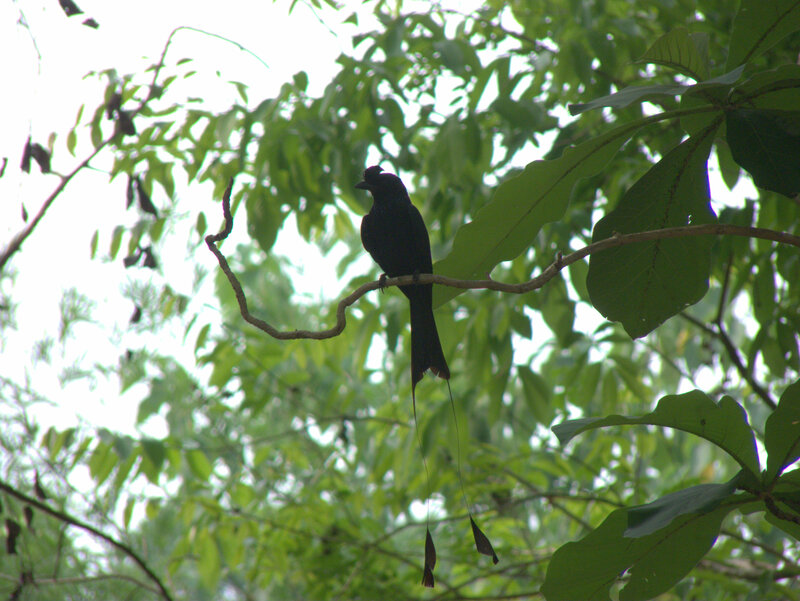 The Greater Racket-tailed Drongo, Dicrurus Paradiseus , is a beautiful and common bird found in many national parks in Thailand.Its large size, black body, tall crest and long forked tail with pendants makes this species easy to recognize it.It inhabits in broadleaved forests, secondary growth and plantations up to 1700 m.The are quite conspicuous and noisy, usually perching on exposed branches and they feed on insects. I took this picture around the campground in Erawan National Park, where it s fairly common. Malayan Porcupine , Hystrix Brachyura, is a species of rodent that inhabits South and South-east Asia.It’s a nocturnal animal that lives in all types of forests up to 1500 m.They feed on different types of food, usually roots, tubers, bark, fruits, insects and sometimes even carrion.Their weight ranges from 0.7 kg to 2.4 kg and they live in burrows.The spines are modified hair. I found this species several times around the new campsite in Khao Yai National Park at night. 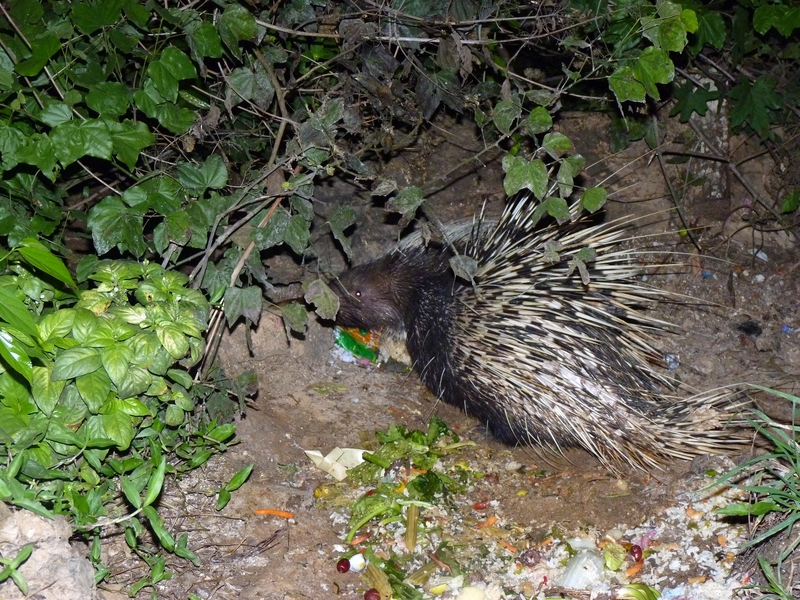 However, I took the picture of this specimen in Bang Krang campsite, in Kaeng Krachan National Park, when the porcupine was foraging at garbage behind the restaurant by 8 pm. 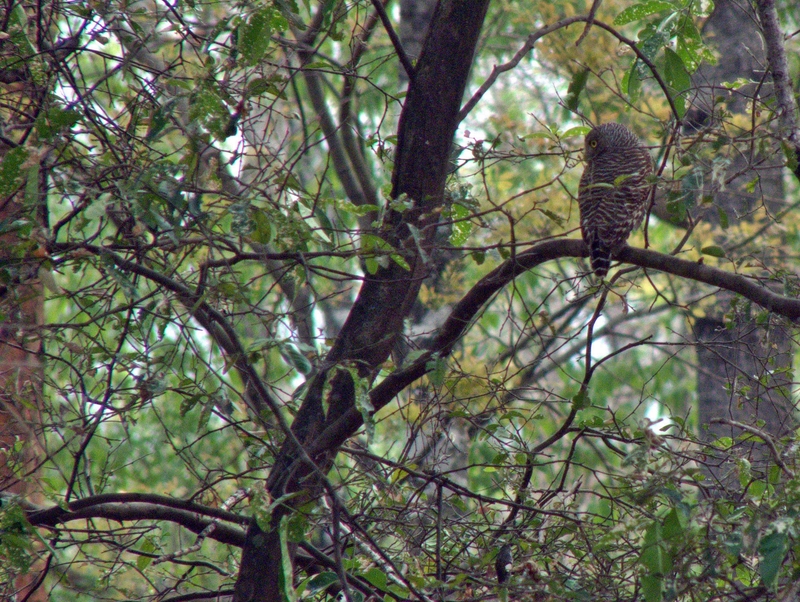 Asian Barred Owlet ( Glaucidium cuculoides ) is a species of true owl that inhabits South Asia and SE Asia.They range in size from 20 to 23 cm.It’s found mostly in open broadleaved forests and open areas with clumps of trees, up to 1800 m.This species of owl is located in northern,western,eastern and most part of central Thailand. I spotted this bird during day, around 4pm, in Salak Phra Wildlife Sanctuary,around the park office.It was perched on a branch and remained still for few minutes,and when it noticed my presence it flew away.It was enough time to take this nice picture ! !